Earlier this week, I published a series introducing WordPress Unit Testing that also included an example plugin. At my local developer meetup group, I also gave a presentation that covered an introduction to unit testing, why it’s important, and how it can benefit projects over time. Why is unit testing important? Thanks to Naomi for the photo! I really enjoyed the presentation. I’ve started working on a plugin using your boilerplate and can’t wait to submit it for review at our next meetup. Thanks Daniel – I appreciate it! 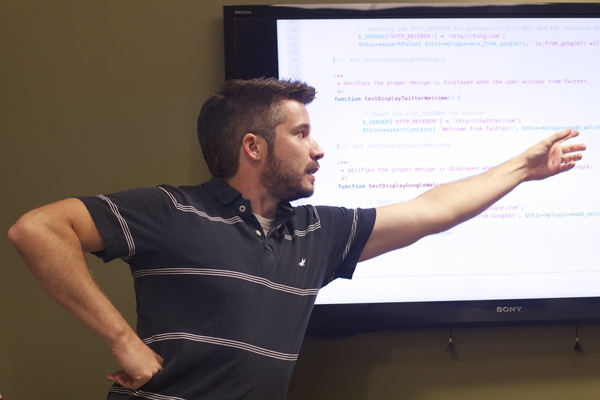 I’m looking forward to doing more code review style discussions in the meetup, too.